We can all agree that clutter is the worst, but finding a place for everything in your house? Not exactly the easiest task. Luckily, your home is hiding more space than you might think. These genius hacks will add extra storage without requiring extra square footage. Don't be afraid of those overlooked hallways and empty walls. While you might think of them as "dead zones" now, throw in a narrow dresser, wall shelves, or a leaning bookshelf and you've got yourself another spot for storing books, craft supplies, and random knick-knacks. Who says you need an artfully placed painting to brighten up your kitchen? 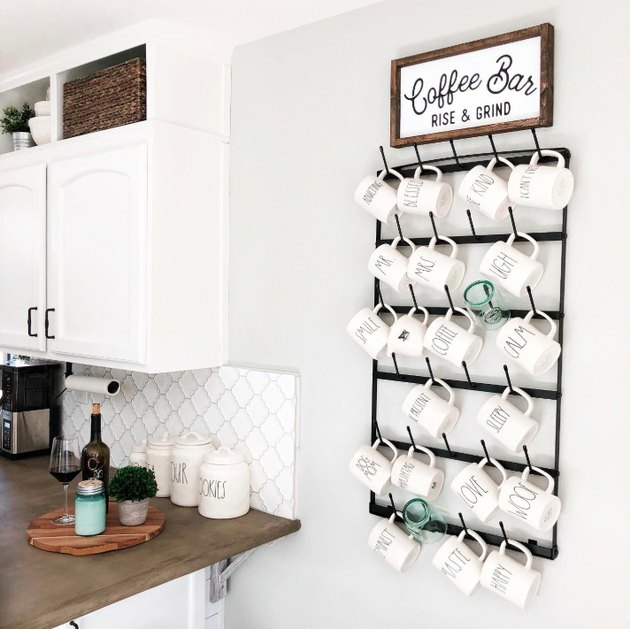 Instead, display your coffee cups on hooks for a bohemian aesthetic. You'll gain a ton of extra space in your kitchen cabinet and will finally have an excuse to ditch your old and unused mugs. Not only can mirrors add brightness and light to a small room, but also provide secret storage opportunities. 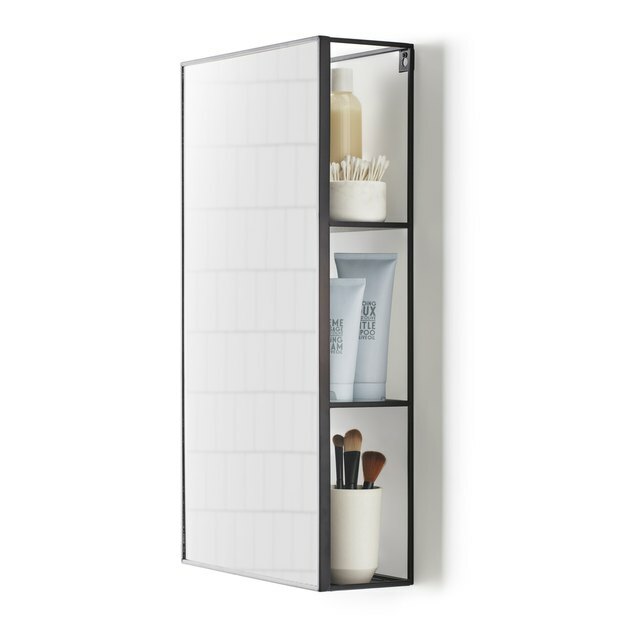 Turn your vanity into shelving or let your full-length mirror do the heavy lifting — either way, you'll kill two birds with one stone. 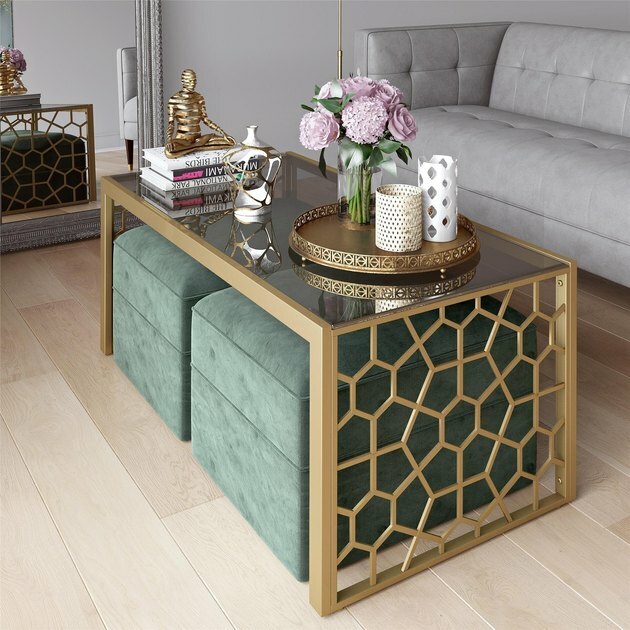 While a shelved coffee table or full-on storage ottoman are both genius ideas, why not stylishly do both? You can use the surface of the table for your prettiest books, trays, and candles, while stuffing the less aesthetically pleasing items (from blankets to dog toys) in the compartments below. We said it here first: bar carts are overrated. 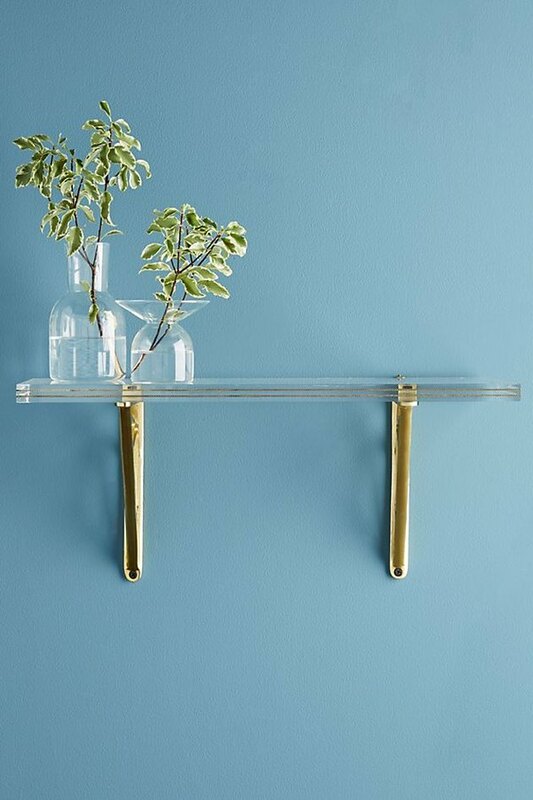 Declutter your valuable floor real estate by taking your spirits, glasses, and cocktail accoutrements up and onto pretty shelves. You'll achieve a similar outcome without sacrificing the space. Who says you need to stretch over your sink or dresser during your makeup routine? Find an untapped corner of your room to assemble a DIY vanity. 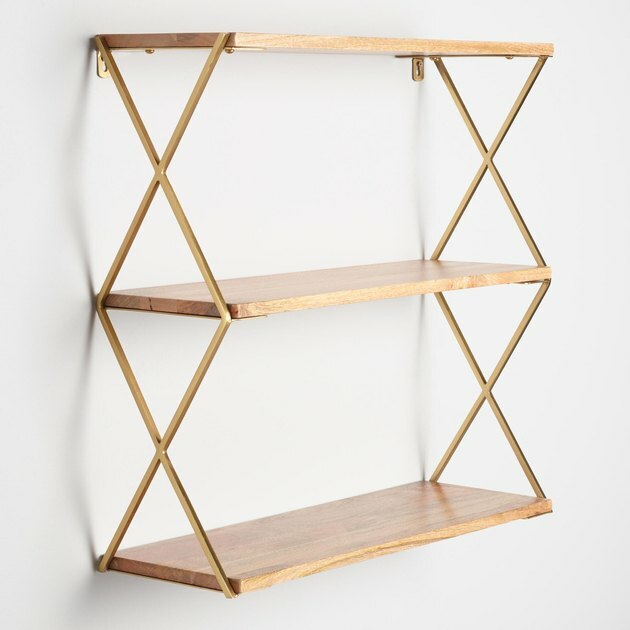 A Lucite shelf will decoratively show off your bronzers and perfumes, while a geometric gold mirror will finish off the look (without adding any extra bulk). Depending on your kitchen layout, consider displaying your pots and pans outside of your cabinets. 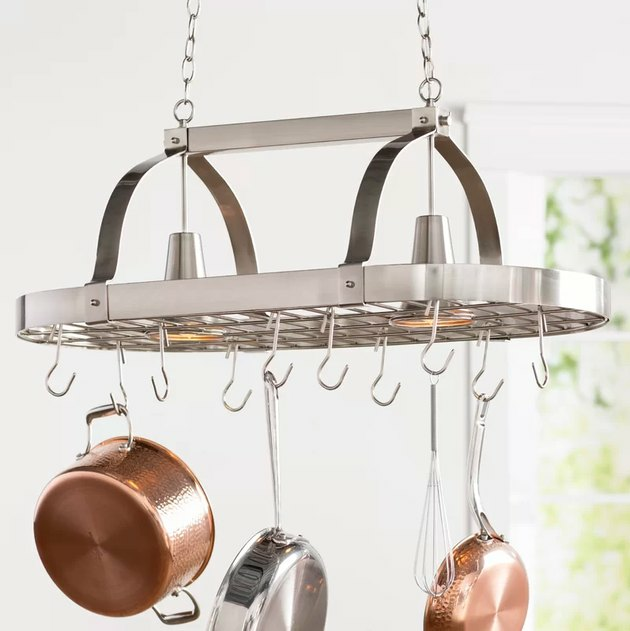 Hang them over a center island, against a wall, or even on a stand-alone rack. 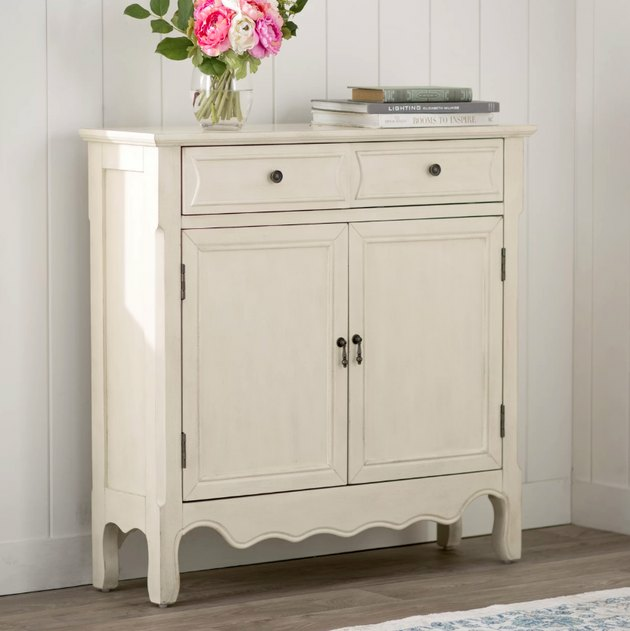 Your kitchen storage will instantly free up and you'll create a new focal point in your space.